The cost of therapy is certainly a growing concern, and with the amount of immunotherapy being given across all tumor types, it has risen to the forefront. The cost of the drugs is a reflection of not only the research and development for that drug, but also other drugs that may have failed to reach the market. However, it is clear we need to work together to ensure that our patients can get access to these drugs as the combination of immunotherapy with nivolumab and ipilimumab is highly effective. Immunotherapy, which use parts of a patient’s immune system to treat cancer, has become a key treatment for a number of malignancies in recent years including melanoma, non–small cell lung cancer (NSCLC), prostate cancer, kidney cancer, bladder cancer, and neck cancer. In 2016, the global immunotherapy market topped $62 billion, and analysts predict the market will rise to $119 billion by 2021. 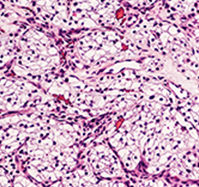 For the treatment of renal cell carcinoma, immunotherapy with checkpoint inhibitors is now a major modality for advanced disease, both as an initial therapy and an after-antiangiogenic therapy for patients treated first with targeted agents. The U.S. Food and Drug Administration thus far has approved several immunotherapies for advanced kidney cancers, including, the anti–PD-1 checkpoint inhibitor nivolumab, the combination of nivolumab (Opdivo) and the anti-CTLA-4 checkpoint inhibitor ipilimumab (Yervoy), and the cytokine aldesleukin (Proleukin). Although studies show the therapies are markedly effective for some patients, costs for the treatments are steep. The average cost of nivolumab in the treatment of advanced RCC for instance, is $101,070 per patient, according to a recent study (Eur Urol. 2017 Apr. doi: 10.1016/j.eururo.2017.07.041). A cost analysis by Dr. McGregor presented at the 2017 Kidney Cancer Association meeting found the combination treatment of nivolumab and ipilimumab for patients with advanced RCC for 1 year would cost $213,500, excluding infusion costs. For a combined regimen of nivolumab and ipilimumab in the treatment of metastatic melanoma, the cost is about $300,000 per patient, according to a cost analysis by Leonard Saltz, MD, of Memorial Sloan Kettering Cancer Center, New York, published in JAMA Oncology. Dr. Saltz determined that for the combined regimen, patients with a 20% copay would pay about $60,000 in annual out-of-pocket costs for the treatment (JAMA Oncol. 2016 Jan. doi: 10.1001/jamaoncol.2015.4191). Since his analysis, presented at the 2015 American Society of Clinical Oncology meeting, the cost of immunotherapy has only risen, said Dr. Saltz, executive director for clinical value and sustainability and head of the colorectal oncology section at Memorial Sloan Kettering Cancer Center. I think it’s a problem, not only for the individual patient, but for society as a whole, because the amount of money that we are spending to provide drugs to our patients is a staggering amount, and it is shared by everyone. There’s the short-term problem of people who either don’t have adequate insurance or who have high copays and then the more general problem that the prices go into everybody’s insurance premiums going forward. Are benefits worth high cost? The research is clear that immunotherapy drugs are demonstrating value by generating longer life spans for cancer patients, said Daniel M. Geynisman, MD, an oncologist and researcher at Fox Chase Cancer Center Temple Health in Philadelphia. Nivolumab, for instance, was shown to improve overall survival by a median of nearly 6 months when compared with the cancer drug everolimus in patients with advanced clear cell RCC who were previously treated, according to a study published in the New England Journal of Medicine (2015 Nov 5. doi: 10.1056/NEJMoa1510665). Adverse side effects were also lower. 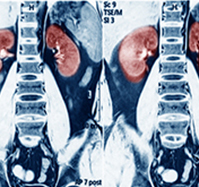 A more recent analysis in the New England Journal of Medicine found that overall survival and response rates were significantly higher with nivolumab plus ipilimumab, compared with sunitinib, among patients with previously untreated advanced RCC (N Engl J Med. 2018 Apr 5. doi: 10.1056/NEJMoa1712126). A phase II study presented at the 2018 Genitourinary Cancers Symposium meanwhile, showed that a combination of atezolizumab and bevacizumab led to longer progression-free survival rates for patients with advanced or metastatic RCC, compared with sunitinib, according to a 2018 summary of immunotherapy in RCC on UpToDate.com. [Immunotherapy drugs] have tremendous clinical value for some patients and are shown to improve survival. You could ask, ‘Are there other medications that do just as well but are cheaper?’ The answer to that is, ‘No.’ All the drugs that work are expensive. While experts stress that more data are needed on the long-term efficacy of immunotherapy, two recent studies suggest that nivolumab is cost effective in the treatment of RCC. 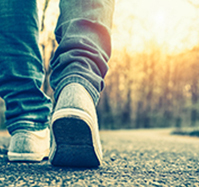 A 2017 analysis in European Urology found that patients pay an estimated $146,532 to gain 1 quality-adjusted life-year with nivolumab, compared with everolimus (Eur Urol. 2017 Apr. doi: 10.1016/j.eururo.2017.07.041). For the analysis, investigators studied direct medical costs associated with a nivolumab course, including administration, and adverse event costs for a patient with an average weight of 82 kg. The authors concluded that nivolumab is considered cost effective versus everolimus, but not compared with a placebo. In the second study, published in Experimental Hematology & Oncology in 2018, findings showed nivolumab had a 92% probability of being cost effective versus everolimus at an $150,000 willingness-to-pay threshold. The study included costs associated with nivolumab acquisition, administration, monitoring, disease management, end of life care, and the management of adverse outcomes. Over a 25-year period, treatment with nivolumab resulted in an estimated quality-adjusted life-year (QALY) gain of about a year compared with treatment with everolimus (Exp Hematol Oncol. 2018 Feb 9. doi: 10.1186/s40164-018-0095-8). In regards to value, it’s important to keep in mind that drugs such as nivolumab and ipilimumab can equal associated health care savings when successful, Dr. McGregor said. Because of high-cost drivers such as surgery and radiation in traditional cancer treatment, the economic burden of RCC in the United States ranges from $400 million to as much as $4.4 billion, according to a 2011 study published in the Journal of Managed Care Pharmacy (2011 Oct. doi: 10.18553/jmcp.2011.17.8.610). “While the cost of the [immunotherapy drugs] may be more expensive, if [they] potentially cure our patients, it may minimize other costs associated with long-term disease morbidities: [For example,] hospitalizations due to complications from disease progression, interventions for pain, or other symptom control,” he said. For patients with renal cell carcinoma, the high cost of immunotherapy treatment can inhibit their ability to pursue and pay for treatment, said Christopher S. Hollenbeak, PhD, a professor and head of the department of health policy and administration at Penn State University, Hershey. He led the 2011 Journal of Managed Care Pharmacy study on health care costs for RCC. For uninsured patients the burden is obviously the greatest, and many patients simply opt not to use these treatments. 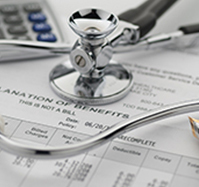 For patients with insurance coverage, the out-of-pocket component varies, and less generous plans can leave patients and their families shouldering an enormous financial burden. 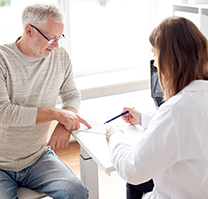 Seniors are perhaps the most likely population to be affected by the high costs of immunotherapy drugs, as elderly Medicare patients account for 46% of U.S. patients hospitalized for RCC. A 2018 study in Cancer Medicine found that Medicare patients with metastatic RCC who did not have full low-income subsidies (non-LIS patients) were responsible for out‐of‐pocket costs of almost $3,000 for their initial oral prescription, compared with out-of-pocket expenses of less than $10 for Medicare patients with full low-income subsidies (Cancer Med. 2018 Jan. doi: 10.1002/cam4.1262). High cost-sharing was associated with reduced and/or delayed access to targeted therapies under Medicare Part D, suggesting that financial barriers play a role in RCC treatment decisions. Dr. Geynisman adds that foundations and patient-assistant programs can greatly help patients with the cost of cancer treatments, but applying and reapplying for grants and awaiting approvals can be stressful. A 2018 study led by Dr. Geynisman found that, for oral anticancer medications for prostrate or kidney cancer, more than half of prescriptions were too expensive for patients to afford and required the acquisition of financial assistance. “It can be a huge time burden and a financial burden for patients, and a psychological burden [in terms of] being worried about how to obtain these medications,” Dr. Geynisman said. The high price for RCC immunotherapy drugs will likely start to taper off as time goes on, Mr. Hollenbeak said. He notes that the current prices result from a more challenging manufacturing process as well as freedom by patent holders to charge more in the initial marketing of their medications.